Online reviews have become a major factor in how consumers make purchase decisions. If you've been ignoring them, now is the time to start getting proactive. Gathering and promoting online reviews can help you gain customers, build brand awareness, and increase sales. In 2010, Forrester Research found that approximately half of consumers use online reviews to research local entertainment options and big purchases (such as cars and household appliances). Just three years later, a BrightLocal survey found that 85% of consumers check online reviews to research local businesses. According to the BrightLocal Survey summary, "Consulting reviews is now a logical step in the purchasing cycle for all types of products and services." The good news is that "the path from reading online reviews to purchasing from a business is short." If you have customers researching and reading reviews of your business, they're not idly meandering through the Internet, checking out peer critiques for fun; they're very close to purchasing, and they're narrowing down their options before they make a final decision. How many reviews your business has online, and how frequently they are added, affects how customers view your business. The BrightLocal survey found that most customers don't bother reading more than seven reviews, so "the most recent reviews are the ones that impact purchasing decisions." You may have some fabulous reviews from long-time customers, but if they're buried under a few so-so reviews, they're not having much of an impact. Keep fresh reviews coming in so that customers can see an ongoing, always improving view of your business from the customer perspective. The first step is to be sure that your profile on all major review sites is updated, and that you've claimed it so you can respond to reviews as needed. Major review sites include Yelp, CitySearch, Google Local, Yahoo! Local, Amazon, and Angie's List. Apps like FourSquare and UrbanSpoon extend it to mobile use. You can also search for review sites specific to your industry or expertise. ; for example, TripAdvisor for travel services, destinations, and attractions; GoodReads for books; Zagat for dining; and Judy's Book for locally based businesses. The next step is to publicize your presence on a few review sites. Pick the ones that seem most active for your business, or your type of business. Promote these online by linking to them on the sidebar of your website; some of the review sites have widgets you can include on your site, as well, if you so desire. You can also put these links into your social media profiles and periodically ask your followers to check out your review page. 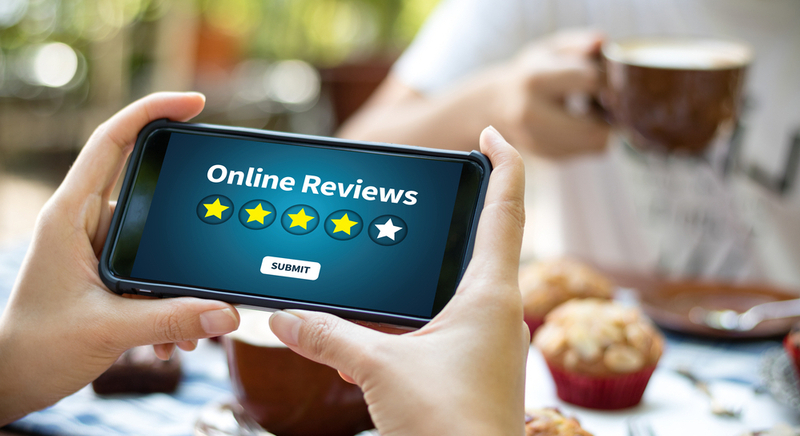 Some review sites, such as Yelp, frown on actually asking customers to leave reviews; instead, they recommend that you simply ask customers to connect with phrases like "Check us out on Yelp" or "Take a look at our review page." If you send out customer emails, include links to a review site (you can rotate thru the three most active review sites you're focusing on) and the same request: "Check us out on Yelp (or Yahoo! or Google+ or Amazon)." You can also promote your presence on review sites offline. Your in-store signage, documents (including receipts), and business cards can all contain a review link with the same suggestion to connect. When you get a bad review, which will happen from time to time, don't panic. And don't ignore it. Instead, respond publicly to the bad review with an apology. Acknowledge the mistakes made by your business, even if they're minor. And state that you will make it right. Then follow up with the customer to make it right, or ask them to get in touch with you for a refund, a return, or some other method of appeasing their dissatisfaction. Consumers don't expect businesses to be perfect, but they do want to know that when a business makes a mistake, they will work to make it right. Be sure to thank the customers who leave you good reviews. You can respond publicly: "Thanks for the great review, we're so happy to have wonderful customers like you!" And you can highlight positive reviews in your email newsletter with a big thank you to the customers who left them. Building a collection of great reviews online is a really effective way to build rapport with your customers and to attract new customers. Put some time into it, and be consistent with sharing links and making those connection requests. Respond promptly to reviews, and you'll slowly build a collection of peer-based information that will continually bring new business to your door.